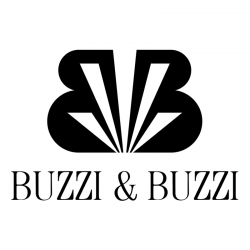 Buzzi and Buzzi was founded in 1990 by Pietro Buzzi and MariaLuisa Chiari. They are two successful professionals who chose to cultivate and explain the ideas and knowledge they had acquired from years of experience in the lighting industry. Since the early years, the company has been based on the contribution of renowned architects, recognizing the importance of differentiating the design. Technology and design come together to create new concepts of light. The result is that objects are really different, not only from an aesthetic point of view, but also from a functional and technical one. Buzzi Buzzi has established itself nationally and internationally; listening to the requests and contemporary languages. The company has distinguished itself in recent years in favor of the compromise of ethics based on attention to the environment, expressed primarily through Coral ®, which go beyond the concept of zero impact. This is proposed with an active role to improve their environment in which it is installed; but also through the choice of light sources, which consist mainly in fluorescent lamps and LED energy-saving, always produced by the company. Buzzi Buzzi also ensures a constant focus on its customers and employees, through the search of a material that combines the decisions of production for the benefit of both. As always, the company employs professional designers for the design of their products. The perfect symbiosis of design and technology is the key element of Buzzi Buzzi products, showing how the research has been developed in recent years in several directions: innovative technology and lighting. Search continues in its innovation process from a careful study of materials, continuous quality, service, a brand 100% Italian design and production, guarantee the quality and the Security. This digression is Buzzi Buzzi: a successful company, focused on innovation, that studies materials and the continuous improvement of quality and service.